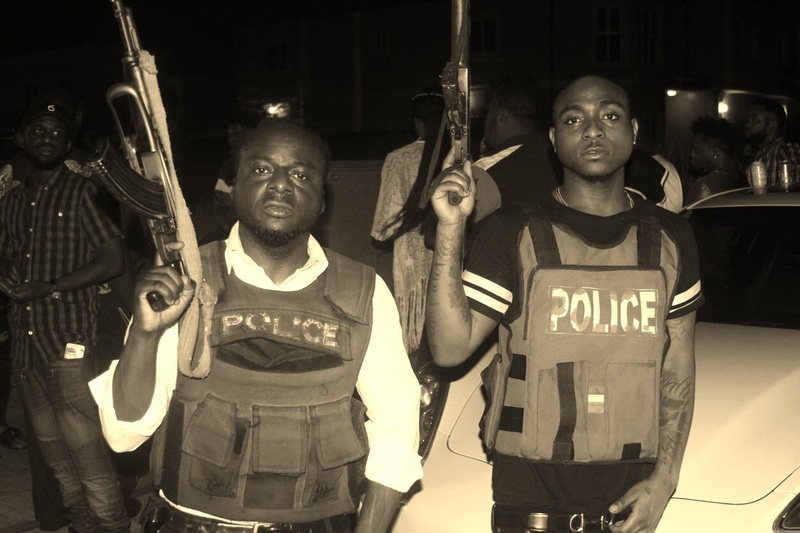 Several pictures have been making the rounds in recent days, of Aquila Records’ artsite TILLA, and his HKN counterpart DAVIDO, brandishing guns and dorning Police uniforms. These pictures are from the videoshoot of the recent collaboration between the duo, Tilla’s #OniReason single which features Davido. A song produced by Kiddominant. The video which was shot on location in Lagos Nigeria, by Aquila Records’ preferred director, FRIZZLE, is slated for release in the next coming days.